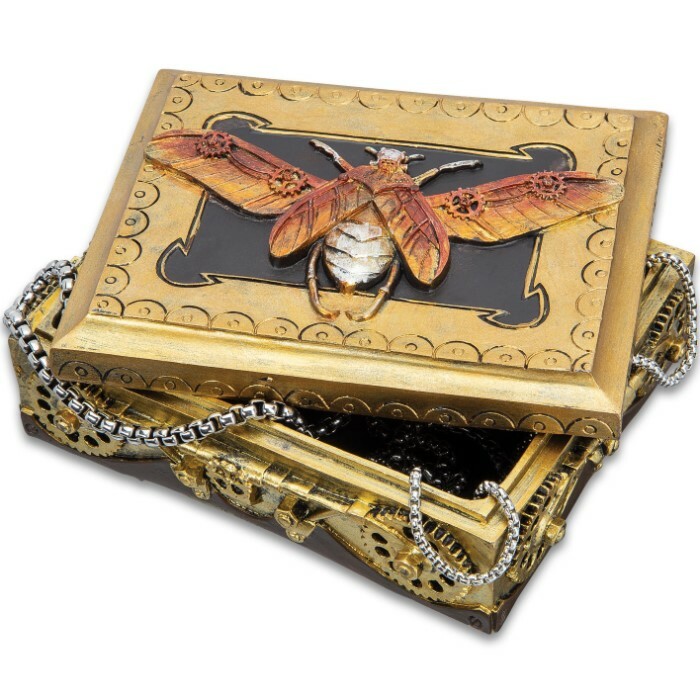 Golden Moth Steampunk Box - Crafted Of Polyresin And Wood, Intricately Detailed, Hand-Painted, Removable Lid - Dimensions 5 3/4”x 4 1/4”x 2 1/4” | BUDK.com - Knives & Swords At The Lowest Prices! 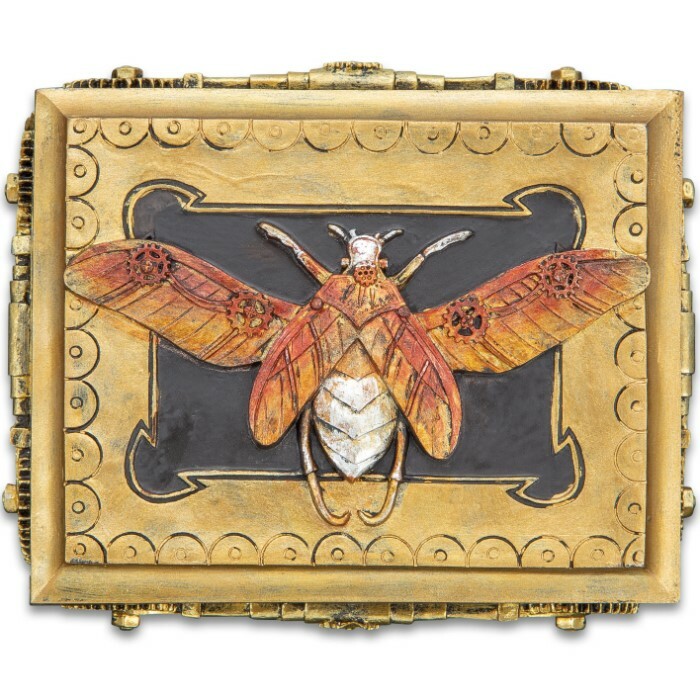 Our Golden Moth Steampunk Box is not only a trinket box but it’s also a beautiful piece of artwork that would enhance a room, placed on a bookshelf, coffee table, desk or end table. The box has been expertly crafted of polyresin over a black wooden base and it is rich with intricate, hand-painted detail. 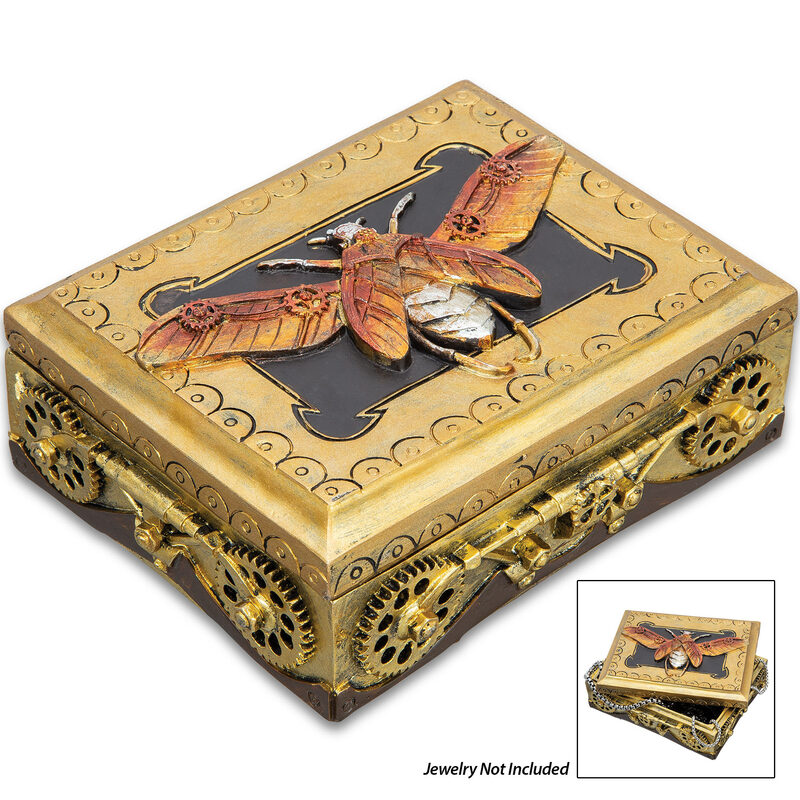 A copper hued moth is the centerpiece of the lid and gears and metal-look accents adorn each of the four sides of the box. The striking, golden trinket box has a removable lid and its overall dimensions are 5 3/4”x 4 1/4” and it is 2 1/4” tall.